Since the introduction of Office 2013 Preview I am enjoying the new metro look and try to discover new features which will support you during the work. In this post I will describe some new features which I think that are useful or not. This feature is really great! Most of the times I work on large documents which contains several chapters and pages. Normally I don’t write these documents in one day, so at 17pm, 19pm or say 22pm you close the document to get some rest. The next morning you get to work and open up the document and are wondering where you have ended your previous day. This is where the Welcome back feature helps you to get directly to the paragraph you were editing! When your users bring their own devices or your user have multiple devices to work with, application streaming could be your solution. 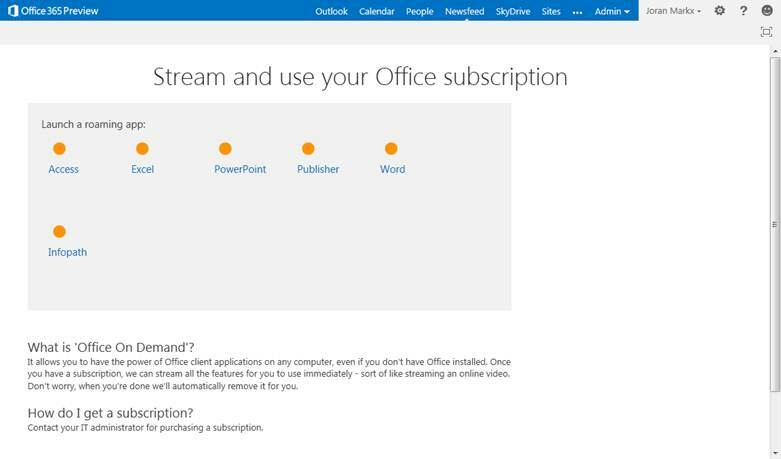 With a single subscription an user can use the most applications of the office suite online, without installing Office. Just a single download of 500Kb is needed to be able to stream the Office Suite. 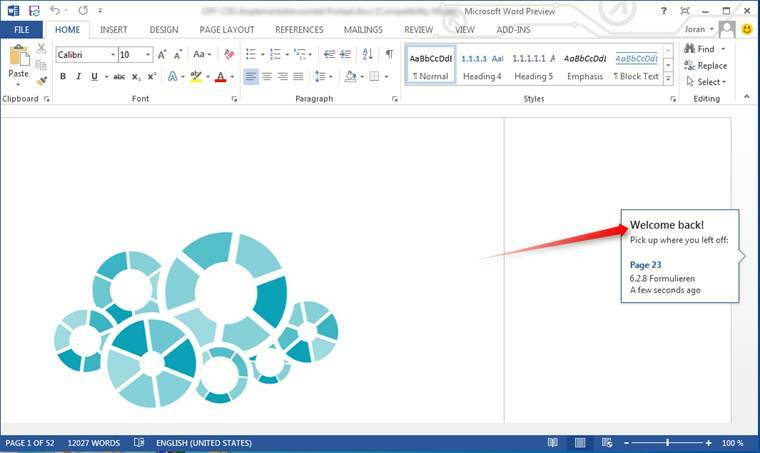 The feature is available from the Office365 preview and can be used on windows 7 and 8 (and windows server 2008 r2/2012).